Count the room activities are always a favorite with my students! 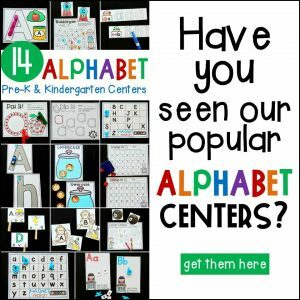 They love searching around the classroom for a card to solve. As their teacher, I love that they’re getting up and moving while practicing their math skills. 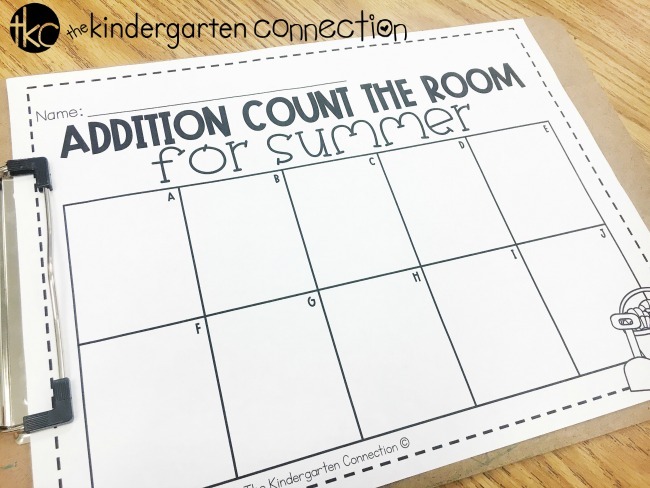 Today I’m sharing a Summer Count the Room that focuses on addition. 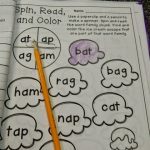 This activity is perfect for whole group practice or as a center activity. 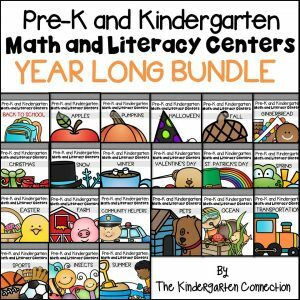 *Pair this with our Summer Centers Pack for tons more learning fun! 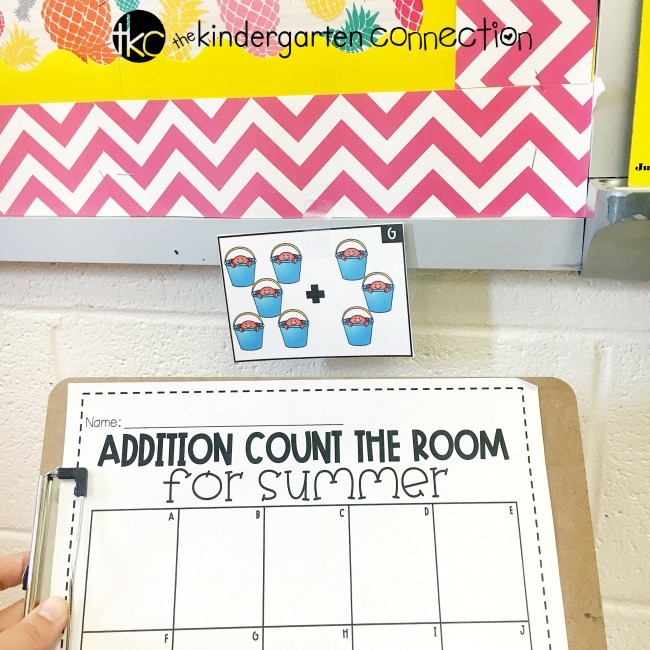 To prepare for Count the Room, print the addition cards. I recommend printing on cardstock and laminating for durability. Tape the cards up in various spots around the classroom. I love to make some a little trickier to find than others. Finally, print 1 recording sheet for every student. We always do a quick review of Count the Room expectations before playing. We talk about how students should and should not move around the classroom, and how to wait their turn at a card if a friend was there before them. Once your students are ready to play, send them to find the 10 addition cards that you previously hung up around the classroom. 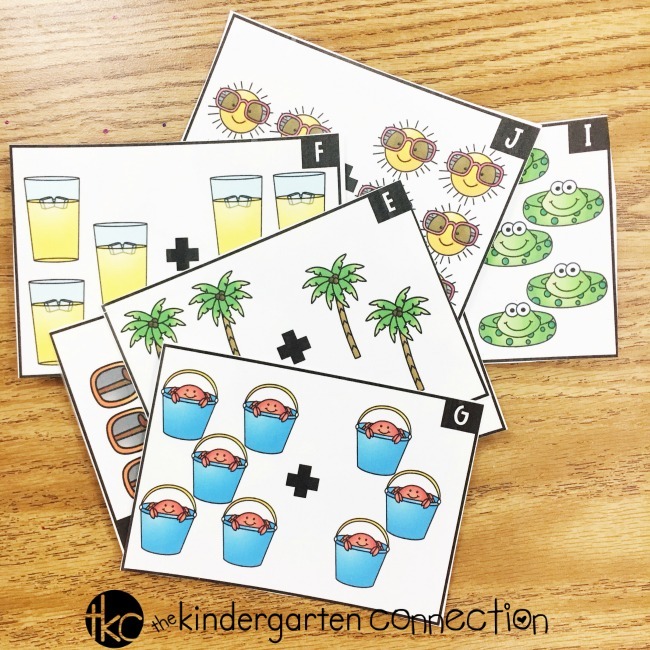 When students find a card, they solve the addition problem that has been represented in your favorite summer-themed pictures. Next, students write the sum in the recording sheet space with the corresponding letter that the addition card has been labeled with. In the example shown below, you can see that the sum has been written in the box labeled “C’ because that’s the letter on the card. Students continue to search around the room for the addition cards until they have found them all. 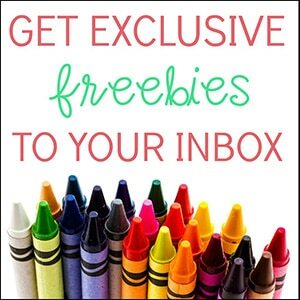 Want to provide your students with more of a challenge? 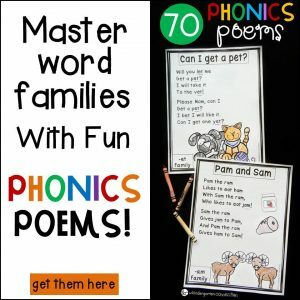 Instead of having students just write the sum, have them record the entire number sentence. For example, the “C” box would be represented with 2+2=4. 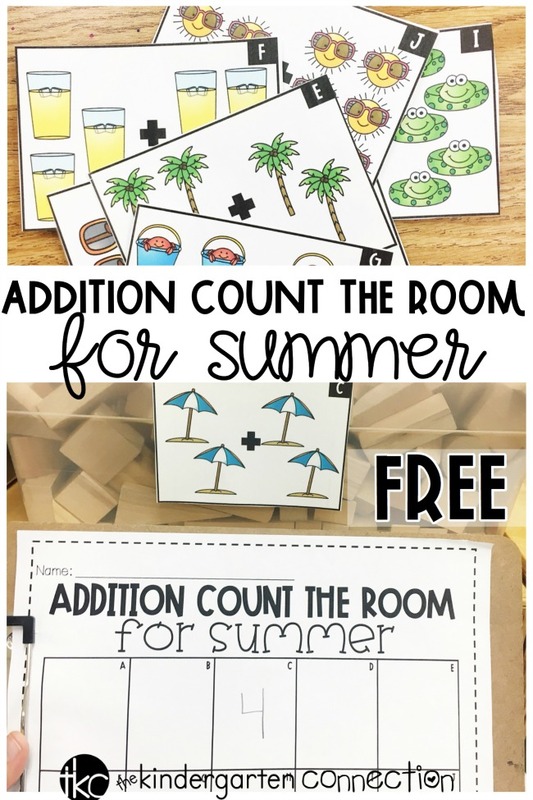 I hope that you and your students enjoy this Summer Count the Room activity as much as mine do! 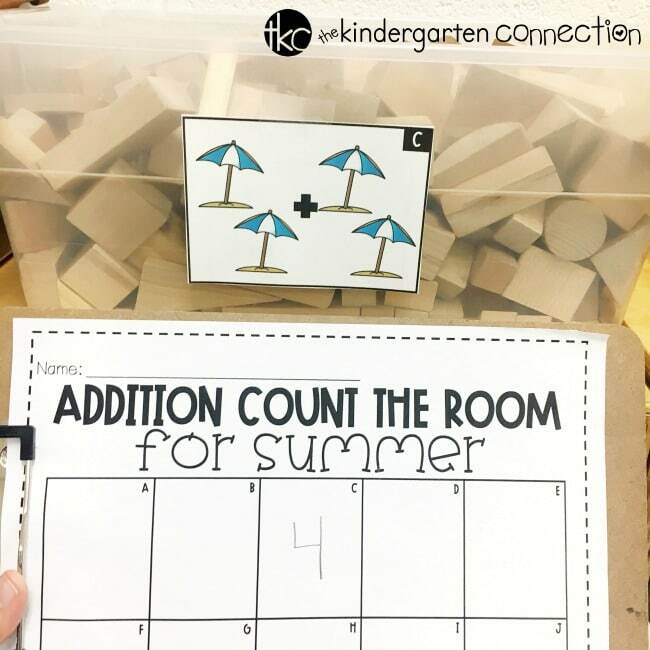 You can download this free Addition Count the Room for Summer by clicking the yellow button at the bottom of this post. 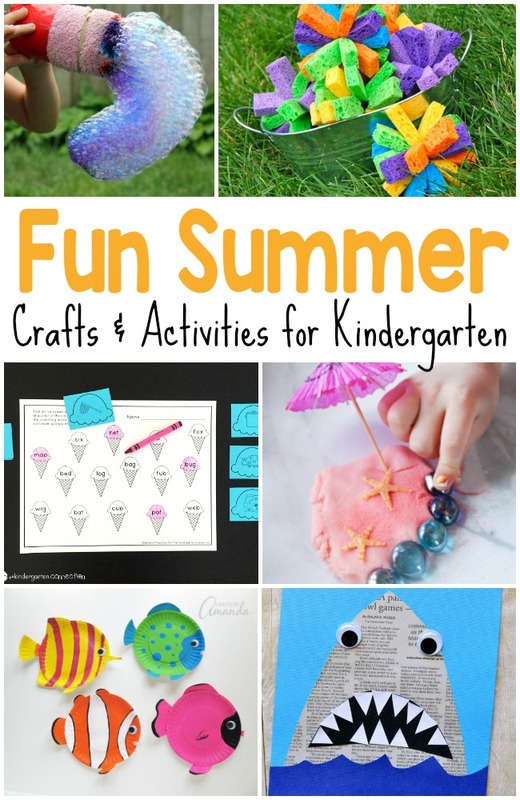 Then, hop over and try more of our favorite Summer Printables and Activities!